Although temperatures on Jeju remain well above the mainland, winter on Jeju can still be bleak. The harsh winter winds and comparative wetness mean that many people choose to stay indoors for the coldest months. There are some indoor-outdoor options as well so you don’t have to stay at home until spring. 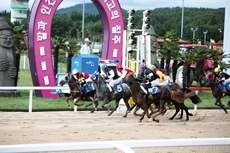 There are few better ways to warm up than screaming at the local horses as they battle it out at the Jeju ‘Let’s Run’ Horse Racing Park. There are only two other horse racing tracks in Korea (one in Seoul and the other in Busan) so it is also a privilege that Islanders enjoy. You can decide to sit in the stands or rub shoulders with the punters inside. Although your view of the race might not be the best, it is the best way to soak up the atmosphere with the locals. This is the largest space and flight museum in Asia. It aims to both educate and entertain with its exhibitions and activities relating to aerospace technology and space science. This state-of-the-art museum includes the history of the Korean Air Force, astronomy from ancient times to the present day, the story of the universe as well as cutting-edge activities for all. 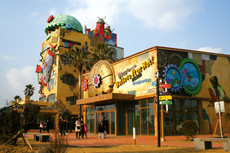 Although the center is great fun for children, the exhibits and activities are suitable for all ages. *Closed: First and third Mondays every month. Haimian is located by the sea in Oedo and has an outdoor bathtub for you to enjoy the ocean view and fresh air while soaking in hot, steamy water. Facilities include a condominium, fitness club and a cafe, and the clean seawater and Jirisan green tea in the sauna have health benefits including disease prevention and muscle healing. The attraction was born after Hongik University graduates began making sculptures and by 2004 it was open and showcasing 140 works of sexually inspired art. Explorer Robert L, Ripley collected oddities on his 18 trips around the world and after his death in 1941 he opened a foundation, and then a museum. 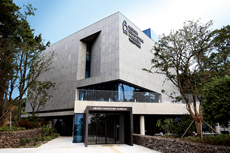 The Jeju museum contains 700 of these curiosities and plenty more. Nexon Computer Museum opened in 2013 and its displays outline the history of computers as well as providing plenty of opportunities to play vintage games for enthusiasts. The museum showcases approximately 1,800 items including a first-generation Apple computer and collectible classic arcade games. It also has a cafe with a popular keyboard-shaped waffle. 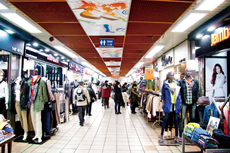 This is the most popular place for some weekend browsing for Jeju City youths with a variety of clothing, accessories, cosmetics, and shoes available. Special events such as DJs and performances are also held now and then. Being underground it is perfect for sheltering from the weather and facilities include a small library, strollers, lockers, and restaurants and coffee shops.